October means #ZWILLINGfest at Relish! We’ve worked with Zwilling J.A. Henckels to offer our customers amazing specials on select products from their family of products, including Zwilling J.A. Henckels cutlery, Staub enameled cast-iron cookware, Ballarini Parma non-stick cookware, and Zwilling Sorrento glassware. Special pricing is valid from 10/1 - 10/31, only at Relish! Amazing In-Store Specials, all October long! Wednesday, October 3rd - 6:00p.m. We’re celebrating Oktoberfest with a comforting meal full of festive German fare. 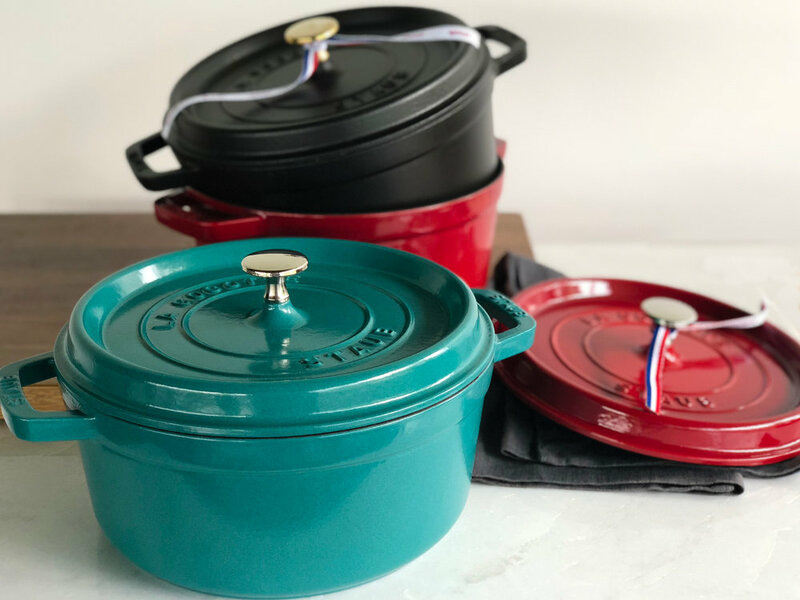 We are pleased to offer this class as a part of our annual #ZWILLINGFEST celebration, and class attendees will enjoy a gift from Zwilling-Henckels. Saturday, October 13th - 11a.m. to 3p.m. Interested in one of our awesome Zwilling J.A. Henckels knives? Cutlery pro Erik Severinson will be at Relish to answer all of your questions and let you test drive all the knives! As you know, we have excellent bargains going on for our second annual #ZWILLINGfest celebration --- and one lucky attendee will win a 7" Chef's Knife!! Thursday, October 18th - 6:00p.m. Join us for an evening of class French fare, inspired by the dynamic duo of French home cooking, Jacques Pépin and Julia Child. We’ll recreate some of their most beloved recipes. We are pleased to offer this class as a part of our annual #ZWILLINGFEST celebration, and class attendees will enjoy a gift from Zwilling-Henckels. Join us on Saturday, October 27, for our annual #ZWILLINGfest party! We’re capping off October with a day filled with food, product demonstrations, and a finale of our month-long specials.